You find yourself, half a bottle into the night, the girl you just met draped across you asleep, and your friends making fools of themselves ten feet away. Life is good, or is it? You have a great buzz going, the music is just right, and you can already tell you’re going to be hungover in the morning, but that’s a future you’s problem. You probably feel invincible, like nothing can touch you. You probably have never thought about what this is doing to you, and why would you care? You’re young, strong, a real stud, and this is how your life is always going to be. You plan to coast your way through life, reserving weekends for binging and mistakes. Maybe that’s not so bad, or maybe it’s a terrible idea. Let’s find out. You’re probably feeling exceptionally good right now. NO worries, no cares. You have had a rough week and you deserve this right? Going out with friends is a great way to relieve stress, in fact when you take a day to just blow off steam you’re actually improving your chances of having a more productive and less stressful week ahead of you. This is also a great time for you to socialize. 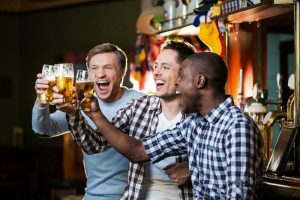 This is a two-part benefit, because as you get older making connections and networking is the best way to have more opportunities in your life, and this act of socializing also promotes friendships and healthy relationships. So, not only are you setting yourself up for future success by talking to more and more people, but you are also making bonds and refining your social group into a healthy, positive place for you to grow and find support. And don’t worry the fact that you’re a player is not so bad for now. Studies show that flirting is actually great for your confidence and correlates to better health. And when things get steamy, you can just tell yourself you’re looking out for your body and mind. Kissing burns about 5 calories per minute, and to add onto these great benefits, it promotes the brain to increase cortisol and oxytocin levels in the body, relieving stress. You are building memories and friendships, and honestly what could be wrong with that. You don’t want to one day look back and regret the fact that you never went out and had fun while you could. So, go out and get drunk and dance until you pass out, but as with all things do so with moderation. As stated above things are not so bad when kept in check, but when you find yourself blackout drunk for the third times this week and you have an hour to get to your next class, you have a problem. I don’t want to harp on you too much, I’m not your mother. There are though, some really nasty effects of partying I think you should be wary of. Let’s start out lighter, sleep deprivation. Let’s be honest for a second, you’re probably already not getting enough sleep as id, but adding an all nightery on top of that isn’t doing you any favors. This can lead to headaches, fatigue, and even panic attacks. Another thing to watch out for is production decrease. 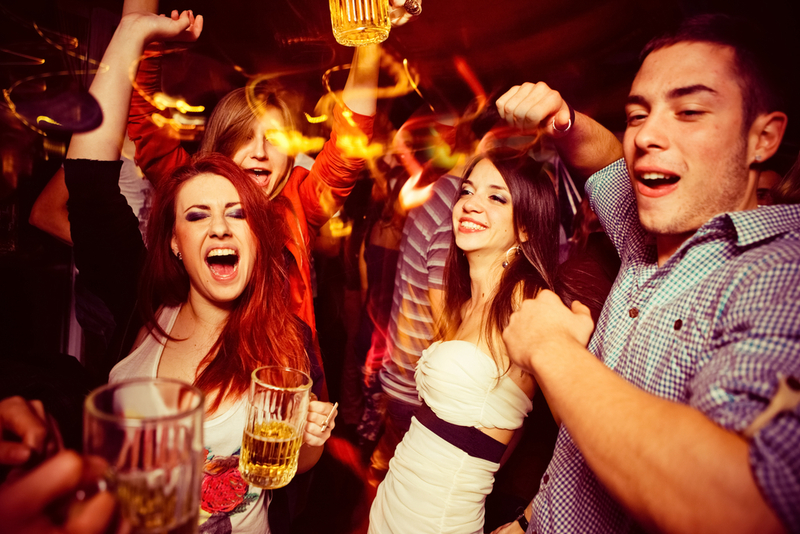 It is possible that your partying is causing problem at work or school. 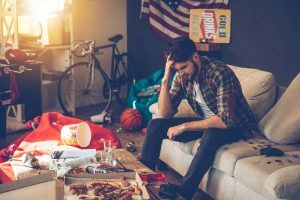 If you find yourself constantly running late after a night out or having a hard time being productive the day after a party, it should be no surprise why. Between your lack of sleep and decreased performance its would be a miracle if you weren’t acting a little out of character. These effects added on top of your benders can make you seem more on edge or even depressed. You may think your helping by taking the night for yourself but if you’re just adding on to the problem you’re not doing yourself any favors. You might also find yourself in constant conflict with friends and family. This can be caused by the stress your putting yourself under or the fact that you refuse to give up a life style they may feel is unhealthy for you, whatever the case, don’t ruin your relationships because you can’t stand the idea of a night in watching a movie. The final thing I bring to you is sickness. That’s right, who could have imagined that partying until the sun comes up my affect your immune system? While you spend all that time drinking and burning the midnight oil, your body is fighting to keep you healthy. This creates a problem seeing that you’re the one causing the issues, making you more susceptible to germs and bacteria. Hope you have good health insurance, you’re going to need it. Here it is laid out for you. You’re an adult capable of your own decisions and I’m just here to inform, so if you believe the good outweighs the bad then please continue on your path my friend. For some it’s easy to control themselves or they have a good group of friends that keep them in line, but this is not the case for everyone. Don’t feel alone in this, if you find yourself in a bad place there are people you can talk to that can help. There is a point in almost everybody’s life where they have to make the decision if the can keep going down the path they have set themselves on. It’s not always a bad thing, but most of the time people become dependent on that lifestyle without realizing it until they feel it’s too late. Listen to your friends and family and try to practice a healthy median if you can. As always have fun and be safe in everything you do.